Lantek has emerged as a leader in the HVAC sector providing a solution that optimizes their resources and production. Lantek offers HVAC companies a wide array of software products that streamline production processes and speed up the implementation of their machinery, which in turn lowers costs and increases profits. The design of hot and cold thermal insulation systems, and of suction, air conditioning and ventilation ducts and heaters and coolers can be improved by applying Lantek’s smart solutions. Lantek Expert Duct stands out among our products. This powerful module for automatically laying out shapes for metal fabrication is used by all companies in the sector working with Lantek solutions. Data can be entered in a practical and simple way into this consolidated system, which then automatically calculates the design. Users can automatically generate designs and handle shapes more quickly by applying this software, which includes a 2D CAD module for designing any piece, as well as for modifying its geometry or layout. The HVAC companies that have chosen this solution are very satisfied and find the results achieved to be optimal. Lantek Expert Duct is designed to calculate the weight and cutting perimeters of the pieces and the costs of the materials used. It is offered as a version that can automatically connect to an ERP, operate independently, or be installed on a local network. The HVAC industry is a pioneer in technological advances related to the environment, comfort, the technological efficiency of machinery and installations, and energy efficiency. In this context, Lantek’s specialized software technology provides key benefits to the sector by facilitating, improving, and ensuring customized production that meets the needs of each client. These companies’ chief need is for groundbreaking systems that make designing the pieces they require easier and that, in addition to streamlining processes, ensure optimal results in systems. 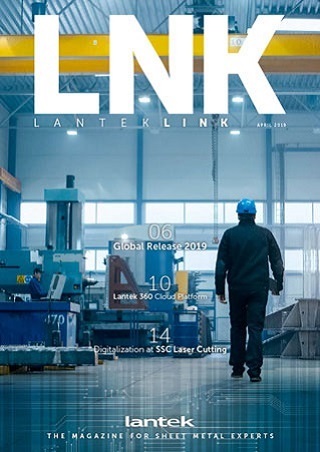 Lantek has deployed its full force to give satisfactory solutions to the needs of the sector, which is already benefiting from the multinational’s technological advances and smart solutions. Innovation is, without question, one of the foundational principles of Lantek. The HVAC sector has a special need for this type of solution, since its complex idiosyncrasy requires the continual improvement and development of its systems, a field in which Lantek has provided successful solutions since its inception.